Tom Cruise joins “Magnificent Seven” remake. | The Cineaste's Lament. ← New “Dark Knight Rises” poster released. Tom Cruise joins “Magnificent Seven” remake. 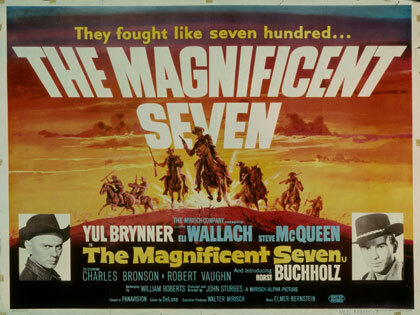 “Tom Cruise is planning to headline a big screen remake of John Sturges’ The Magnifcent Seven, Variety reports. This entry was posted in action, Film News, Guy Cinema, Reboot-Itis, Westerns and tagged Akira Kurosawa, Charles Bronson, James Coburn, John Sturges, Steve McQueen, The Magnificent Seven, The Seven Samurai, Tom Cruise, Toshiro Mifune, Yul Brenner. Bookmark the permalink.